TFF goes green for 'Shrek Forever After' premiere. What do Shrek, Robert De Niro and Beastie Boys band member Mike D have in common? They’re all descending upon Lower Manhattan this week to celebrate the ninth birthday of the Tribeca Film Festival, running April 21 to May 2. The 2010 fest, which kicks off tonight at the Ziegfeld Theater with the star-studded red-carpet premiere of Shrek Forever After, has come a long way since its inaugural run in 2002. Back then, with Tribeca still trying to shake off the sorrow and dust of the unimaginable tragedy of Sept. 11, acting legend and Tribeca resident Bobby De Niro, his producing partner Jane Rosenthal and her husband Craig Hatkoff banded together to found the annual celebration of film, music and culture with one ambitious goal in mind: rejuvenate the neighborhood economically, culturally, spiritually. Their gambit seems to have succeeded. What began as a modest forum for the work of indie filmmakers and documentarians has blossomed into one of the premier film fests in America, attracting tiny independent movies and gargantuan blockbusters alike. But, more importantly, the festival coaxes visitors to Tribeca, once again a vibrant community bursting with beautiful parks, exceptional restaurants and a bounty of things to do. This year, the festival is pulling out all the stops for a slate of amazing community events, most of which cost absolutely nothing. For example, just because you’re not Mike Myers or Cameron Diaz doesn’t mean you can’t strut your stuff on the red (or will it be green?) carpet at the Ziegfeld’s Shrek premiere tonight. 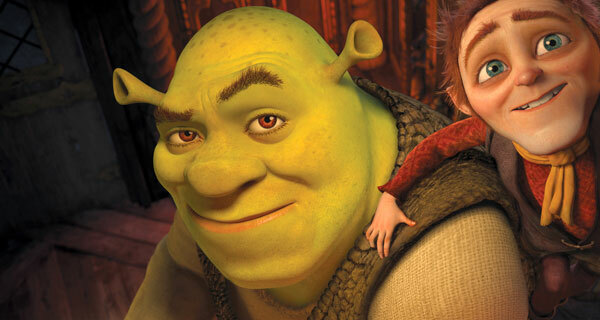 TFF is hosting a simultaneous family-friendly screening at the Loews Lincoln Square, where parents and their kids are encouraged to dress up as Sir Shrek, Fiona, Puss or even Donkey, meander down the red carpet, and then attend a showing of the film a full month before it officially hits theaters. Of course, you’ll have to pay for those tickets. But if it’s freebies you crave, the Tribeca Film Festival has no drought of those. For starters, TFF is presenting free outdoor public screenings at the World Financial Center’s “Tribeca Drive-In” from Thursday April 22 to Saturday April 24. Doors open and events begin at 6 PM, screenings commence at dusk, and seating is on a first-come, first-served basis. The film series gets things going on Thursday with the world premiere of El Espiritu de la Salsa (The Spirit of Salsa), a documentary about salsa novices preparing for a public performance — so kind of like Dancing With the Stars, but mercifully without Pam Anderson. Moviegoers will be treated to gratis salsa lessons and given the opportunity to flaunt their skills in a dance competition before the screening … so make sure you’ve got that “cabbage patch” maneuver mastered before then. On Friday, the beloved Tom Hanks flick Big gets the drive-in treatment, with attendees enjoying carnival-style family events — including face painting, fortune tellers, games, trivia, contests, music and (word has it) an actual Zoltar machine — before the event. Sadly, we’re told the mammoth-sized FAO Schwartz keyboard will be a no-show, so you’ll have to provide your own if you want to perform an impromptu duet of Heart & Soul with Tom Hanks. Come to think of it, you’ll have to bring your own Tom Hanks as well. The series will culminate on Saturday with the debut of the ESPN Films doc The Birth of Big Air, about BMX freestyle innovator Mat Hoffman. Hoffman himself will be onhand to entertain the audience with bike stunts so ridiculous they’d make Evil Knievel wet himself. Oh, Evil, we jest (but not really). And that’s just the beginning. True film fans will dig TFF’s “Pen to Paper” panel discussions, which feature writers and directors — including Edward Burns (The Brothers McMullen) — chatting about the rigors and rewards of the artistic process of screenwriting. The series of three free discussions will be held from Saturday April 24 to Monday April 26 at noon at the Barnes & Noble Union Square. We’d tell aspiring scribes to bring a pen and paper to take notes, but hopefully they already knew that. Also free of charge and open to all comers are “Tribeca Talks: Industry” panel discussions that explore the business and technology side of filmmaking, as well as a “Meet the Filmmakers” series hosted at the Apple Store Soho. The latter will run daily from April 23 to May 1 and give cinema buffs a chance to mingle with A-list talent, including Naomi Watts, Patricia Clarkson, Catherine Keener and the omnipresent Ed Burns. TFF will go out with a street festival-fueled bang on May 1, with the Family Festival Street Fair and the ESPN Sports Day occurring simultaneously on the thoroughfares of Lower Manhattan. The Family Festival Street Fair will feature performances by the cast of Wicked at the Tribeca Performing Arts Center (TPAC), a massive guitar “play-in” led by the Beastie Boys’ own Mike D (who just so happens to have a kid in the Church Street School of Music and Art), and a special free screening of the children’s flick Snowmen, not to mention a bevy of outrageous street performers, live music and delicious eats. Not to be outdone, the ESPN street fiesta will take over Duane Street between Greenwich and Hudson for a day of sports games, BMX exhibitions and freestyle soccer tricks (courtesy of the New York Red Bulls — the MLS team, not the beverage). Of course, there’s also be a bevy of outstanding films to be seen at venues around the area, so visit http://tribecafilm.com for tickets, as well as a full schedule of TFF events and locations. We have a feeling Ticked-Off Trannies With Knives is going to be a hot ticket, so reserve your seat today.